Unless you are like Harper Lee, who had only one highly successful novel published until a few months before her death, authors need a number of publications before people begin to notice their work. This is what is known as building your backlist. Your backlist doesn’t necessarily have to be all full-length novels. Consider including shorter pieces of fiction, such as novellas or short stories. And what better way for an author to feature their short stories is to team with a group of writers? Readers benefit by having the ability to read the works of multiple authors. 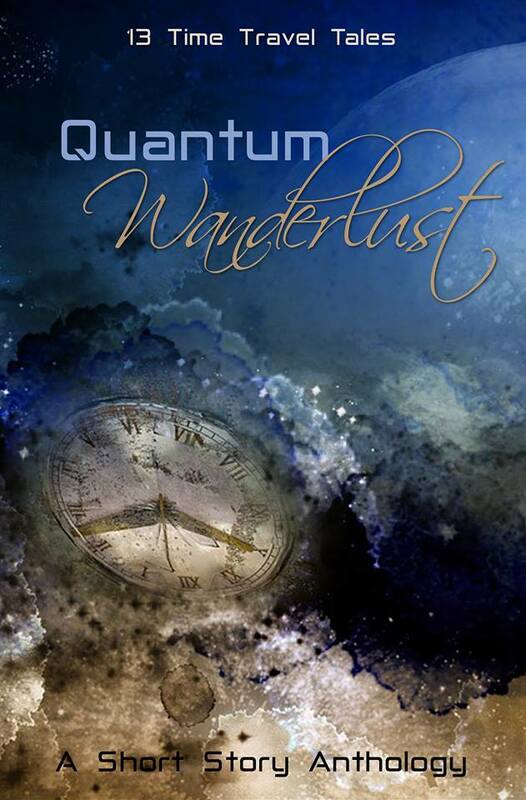 Last week, AIW Press announced the release of our newest release, Quantum Wanderlust, featuring thirteen time-travel stories. But many of you may not be aware that AIW had published three other anthologies. Unshod is a collection of stories by nine female writers, written with a western theme. However, they’re not your granddaddy’s western. 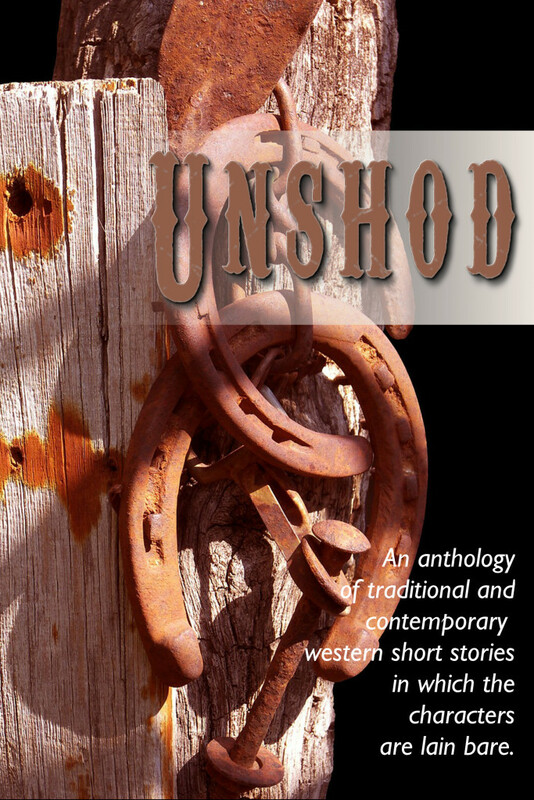 The only stipulation we gave authors is the stories must be set in the American west. 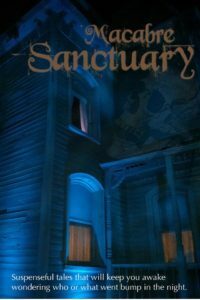 You’ll find both historical and modern day tales, romance and murder mystery, Native Americans and Japanese Americans. 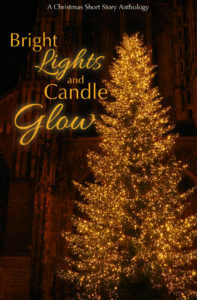 Bright Lights and Candle Glow is a collection from a group of eight authors. 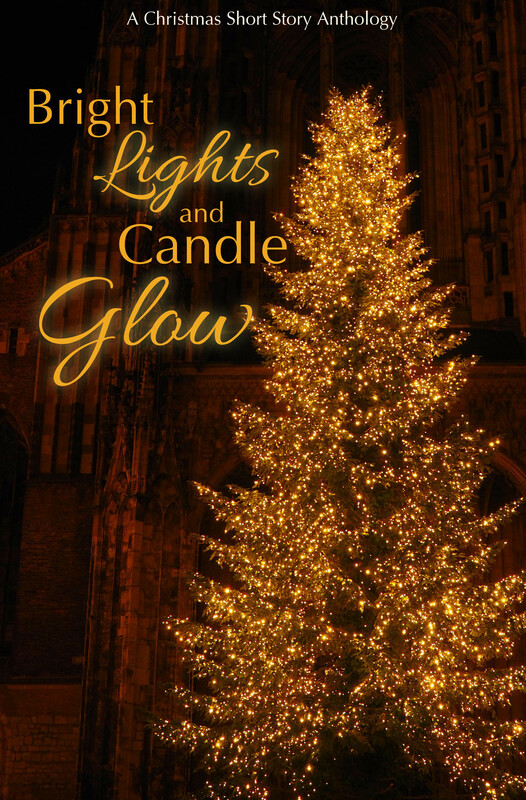 These Christmas/Holiday themed stories are set from the mid-1800s to modern day. Read about a Civil War soldier, a 1920’s mobster, a neighbor who is a Grinch, and more. Each of these collections are free of charge through most major online retailers. 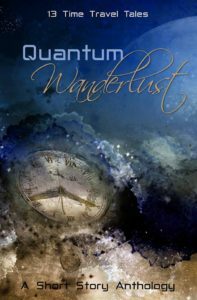 So whether you’re in the mood for the old or modern west, want to feel a little frightened, in the mood for a Christmas story, or want to travel in time, you’ll find stories for just about every taste. To download your free copies, click on the links below. When we’re talking about style guides, there are some clear, global rules that all writers know (or should know) and adhere to. Submissions are sent with a cover page. Documents are formatted to be 1-inch margins, 12-point size, Times New Roman font, double-spaced. Synopses should only introduce main characters, and they should do so by writing the names in all caps (but only the first time the name is seen). You get the idea. Industry standards. Things we learn early and adopt as second nature. But what about newer things, like incorporating specific types of technology or messages into our work? This is one of the reasons AIW Press and other publishing houses have created their own style guides. It doesn’t seem logical that a sign or a text message—two forms of communication that are not spoken aloud—would be inside quotes. How would you differentiate a character speaking the words rather than reading them silently if both ways were to use quotes? At best, it would require a lot of unnecessary and laborious exposition to explain it. At worst, readers would never be certain whether the words were read or spoken. Is this an important detail? In the grand scheme of things, perhaps not. But when it’s more than one rule—say five, ten, twenty or more—it can start adding a lot of extra words or could result in an unclear message. Right now, the AIW Press style guide is an internal document only that our editors work with. Eventually, we will have the document prepared for our authors and potential authors and make it available online for anyone to access. The more proper rules and formatting you can adhere to before submitting your work to us, the more likely you are to make it through the first round in the acquisition process. You don’t want to be the person rejected for formatting rather than content. And believe me—that happens at most publishing houses. We don’t want that for you. We want you to be a success, and we want your work to shine. So, what about you? Do you have formatting or submission questions that you’ve never solved? We’re happy to answer any questions you might have. Drop us a line in the comments. PS—If you’re curious, we handle text messages and signs in the following manners. The fence held a distressed wooden placard, painted white with faded red letters. Kind of made the bag of bread in her pocket useless. Unless, of course, she fed them anyway. No one was around to see. She wouldn’t get in trouble. And the birds did so love treats. What was the worst that could happen? Cara’s phone dinged. She glanced at the screen. Mom: When will you be home? No wonder it took her mother so long to text. She wrote out every word like a professor would be grading her. We have been getting writing prompts since we were small children. Schools start us early, with fill-in-the-blank stories, and gradually step us up from there. The next steps include writing our own stories with blanks for others to fill in, or prompts meant to inspire creativity with no word limit or page length, or creative prompts that ask us to write a story in a certain amount of words. Even our writing homework assignments are a form of writing prompts, giving us specific topics or questions to answer. Writing is important. As aspiring authors or well-established authors, we’ve already decided it is more important to our livelihood than it is to others. We have stories to tell. Authors are constantly honing their craft. In any field of expertise in life, the only way to improve is to practice, and keep up with the changes that occur within the field. As an author, you have to write regularly to get better, and there are a lot of different options for that. One of the best available options an author can use is a writing prompt. A quick google search for ‘writing prompt’ will produce hundreds of free prompts. These can be narrowed down even further – there are writing prompts for every genre, trope, and aspect of writing one could think of. This is an invaluable tool for an author. 1. Writing prompts give us the ability to practice our writing. As I mentioned above, the only way to get better is to write continuously. And while any kind of writing is a step in the right direction, focused writing is a better tool to help us improve. While you work on your current manuscript, improving your writing isn’t the foremost focus. It’s good to take small breaks to focus on areas where we may be weak. Prompts are a good way to bring our weaker skills up to snuff. 2. Prompts can be focused on a specific type of writing. When searching for writing prompts, simply adding the type of prompt you want can narrow down your focus. Say you’re a romance novelist, and you have trouble with horror writing. 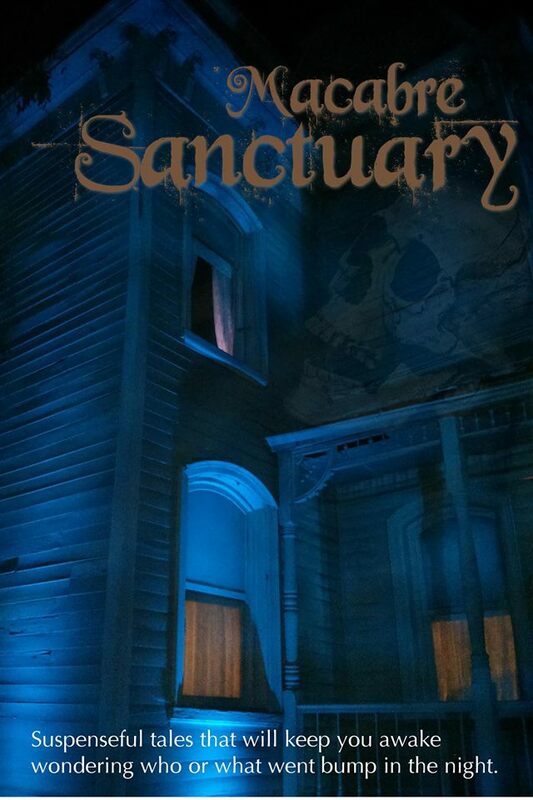 Search for suspense or horror writing prompts, and get to work. It helps to shift your mindset into writing a different genre, and can make you stronger as a writer. Who knows, it could come in handy when you least expect it! 3. They are easy to use and free online. Who doesn’t love free stuff? Using a prompt is great for writing, sure, but it’s easy on the budget. No one wants to pay for something unless it’s necessary, and writers typically don’t have that many nickels to rub together. This is a great way help yourself as an author and save up for the costs that really matter when it’s time to publish. 4. A good prompt can spark an idea for a new manuscript. Writing prompts are great resources all around, but one of the most invaluable things they can give us are new ideas. Sometimes, little gems are hidden away in our minds, and writing prompts can unlock them simply by giving our creative juices a stir. They get us to write, and force us to expand our scope. You never know what you’ll find when you start writing. Something as simple as a writing prompt can gives us rich and complex ideas and practice, helping us to learn and grow as authors. If you’re lucky enough to be part of a critique group, as well, have them look over your practice writing sometimes. Critique groups, blog posts, and other writing groups giving feedback on practice writing pieces tells us how far we have come and how far we still need to go. For more information on critique groups, see Joan Hall’s post: Critique Groups. This article is the first of a two-part series on the importance of using a professional editor. I’ll post the second part in late September. Self-editing, beta readers, and critique partners or groups are all an important aspect of the writing process. Each step has its own benefits. Some writers may not use beta readers, and others don’t have a critique partner or group. I believe both provide useful feedback and it goes without saying that self-editing is a must. However, if you want your manuscript to be the best it can be, you need the services of a professional. It’s important to know there are different types of edits—content edits, line edits, and copy edits. Some people use the terms line editor and content editor to mean the same thing essentially. Others differentiate slightly on the two. You may also hear the term developmental edits rather than content edits. Today, I’m going to talk about content editors. This person can take an otherwise dull manuscript and make it shine. The following is an example from one of my manuscripts. A simple rewording of one sentence changed the passage from what’s known as author intrusion to deep point of view. Stephanie felt more confident knowing her father was in the stands cheering for her. Knowing her father was in the stands cheering for her boosted her confidence. In the first sentence, I’m telling the reader what Stephanie felt. In the second sentence, I’m in her point of view and showing the reader how she feels. Here’s another example from the same manuscript in which the editor eliminated unnecessary words. Stephanie messaged back. You may call me directly. She entered her phone number and eagerly awaited the call. Stephanie messaged back her phone number and eagerly awaited the call. The second sentence, although shorter, is stronger and I didn’t lose the intent of the passage. It’s important to note a good editor never changes the author’s voice. Sadly, I once had an experience with someone who was, in reality, a frustrated writer. By the time he finished editing my work, I almost didn’t recognize it. A good editor not only points out ways in which a writer can improve his or her work, but they also leave encouraging comments when warranted. Oh! Gut punch! As a writer, this is delicious. As a reader, so sad. Good job. You can see how this help boost my confidence both as a writer and in the story. If you go with a traditional publisher, they will provide someone to edit your work. It’s important to note that editing isn’t cheap, but it can make or break your book. If you self-publish, it’s well worth the money spent to hire a professional. Blanche, Muffy, Winchester, Bruiser, Tiny. 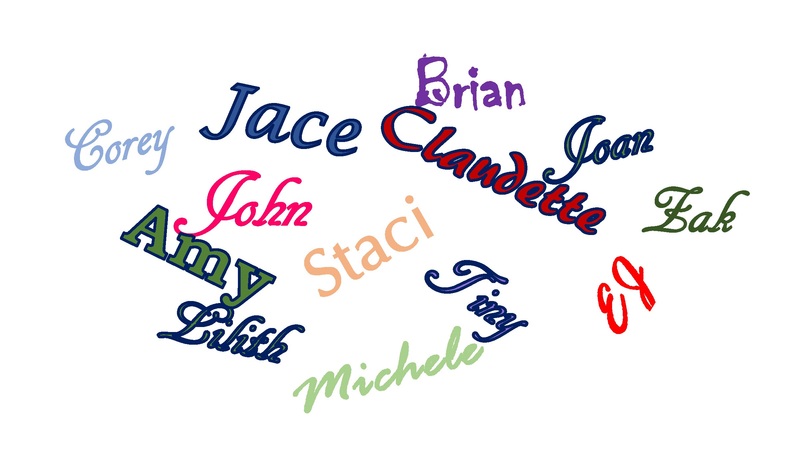 Each name and nickname evoke something in us. They imply something. Each time you choose a name for a character in your work, that name determines how you want your reader to react to the character—the image you want the character to portray. A simple name will set the tone of your work and determine how the character will act. And, when you take the time to name a character, that tells the reader the character is important to you and to your story. He has meaning, and you want your reader to remember him. If the character isn’t a vital part of your story, don’t name him—simply refer to him as what he is (waiter, lawyer, lifeguard). These words let the reader know a bit about the person but keep them from becoming too prominent. Not only will names aid in the description of your characters, they help set the time period. For example, Beulah, while popular in the late 1800s, isn’t a common name today. As a reader coming across this name, you most likely would imagine an old woman rather than a young girl. How can you choose the perfect name? Every author goes about it differently, but below are a few tips that can help. There are things you should avoid when naming characters as well. What tools do you use to name your characters? Share them with us. We’d love to know. All good stories have conflict. Something to keep you interested. What provides conflict? A well written villain. Someone who makes you root for the hero. As you write your novel, if you simply concentrate on your hero/heroine, you are leaving out what makes your story great. Conflict. Something or someone for the good guy to defeat. A well written villainous plot will give your hero depth and keep your reader interested. Without a good villainess what would the heroine have to do? Before you start writing consider what the villain will be doing. He must have a reason for his actions. He cannot be bad because you want him to be bad. Give him a reason. Something the reader can identify with. Make him easy to hate. Better yet, make him someone the reader sympathizes with. Someone the reader will pull for. Inherently, villains are not all bad. Each of them believes in what they are doing and has a reason for doing it And they each have some redeemable quality. A well written villain will give meaning and focus to the hero providing direction for him to grow as a person. As a writer, how can you know what your hero is doing if you don’t know what your villain is doing. You cannot have one without the other. Make your villain multi-dimensional. Create some logical reason why he does what he does, then give him some redeeming quality that your reader can relate to or identify with. Characters are more believable if they appear to be real. Even good people have some bad in them. Villains and heroes both have strengths and weaknesses. If you create a perfect character with no flaws your story will be flat, unbelievable, and one dimensional. Your villain will have backstory just like your hero. What made your villain what he is today? Now, weave that backstory into your novel and show where your villain has crossed that imaginary line. The point where he no long thinks about what he will do, but acts on it. This is the point where the stakes are at their highest. Create that tension the reader craves and keep the villain’s agenda clear. A villain doesn’t necessarily need to be evil. Perhaps a series of events puts him in a position he doesn’t want to be in and now is forced to do something he doesn’t want. Heroes and villains have strong convictions that are in opposition to each other. Great stories have memorable villains/villainesses. Without Voldermort what purpose would Harry Potter have? And one of my favorites—The Wicked Witch of the West from The Wizard of Oz. Are you a fan of the hero or do you root for the villain? Do you have a favorite villain/villainess? We’d love to hear your thoughts. Critique groups. Critique partners. For many writers, the idea of joining such a group or linking with another writer is scary. New writers, in particular, may be hesitant about sharing their work. Some might be afraid of what other members will say or think. Still, others may feel inferior to more seasoned writers in the group. In my opinion, if you want to become a published writer, joining a critique group or having a critique partner is necessary. I’ve been a part of a critique group for several years and can say my group is invaluable. We have experienced writers and beginning writers. We write in different genres. But we all have one thing in common—we are writers. People who want to want to improve their craft and, if not already, become published writers. A critique group offers encouragement. Remember that critique groups are composed of writers. Like you, they love to write and have a deep appreciation for the craft. They want to encourage you, and they want and need encouragement. I recall when I was working on my first novel. At that time, I hadn’t written a lot of fiction, and the draft needed a lot of work. And yes, there were times when I didn’t want to share it with anyone. The comments and encouragement I received encouraged me to keep going. Now that I have more experience, I enjoy offering feedback and encouragement to newer writers. In a critique group, you form bonds and friendships. The people in your group will be with you through thick and thin. Yes, some may come and go, but over time, a core group will form. Together, you celebrate successes and sympathize over rejections. The bonds of friendship are priceless. I believe smaller groups are best. Too many members equal too many opinions. I think a group of 3-5 people is best. Some choose to have a single critique partner rather than join a group. Are you part of a critique group or have a critique partner? Please share your experience in the comments.